If a rabbit has somewhere cosy and safe, combined with room to roam, he’ll be happy. A simple set up of rabbit hutch and rabbit run tick the boxes. 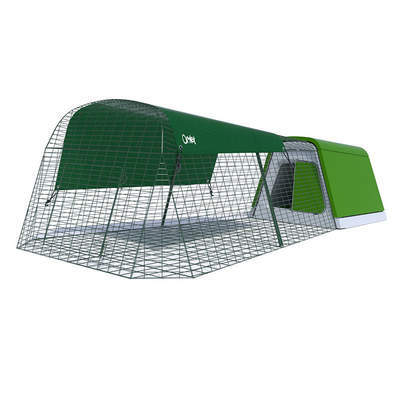 Linking the different spaces with rabbit pipes such as the Zippi Rabbit Tunnel System makes it even better. 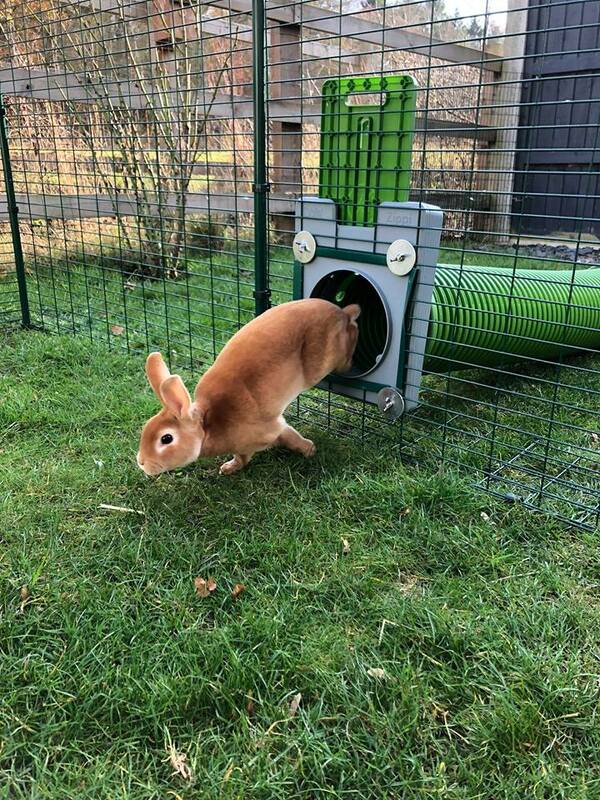 This simulates the rabbit’s wild environment – and even a pet bunny who likes nothing better than human company has an instinctive love of tunnels and burrows. Asking “how big is a rabbit cage/hutch/pen?” is a bit like “How long is a piece of string?” But there are minimum dimensions that are worth bearing in mind. It depends on the size of breed you have, the number of bunnies, and the space you can dedicate to them. Rabbits tend to stay close to a bolt hole – it’s something wired into them, as they are a popular prey for various predators in the wild, and need to be close to a place of safety. If you provide your pets with all the food and water they need, they won’t want to wander too far. A cosy hutch or cage stands in for a wild rabbit’s underground burrow. That isn’t an excuse to fit your pets into an undersized cage, though. In the past, many owners used hutches that were far too small, resulting in unhappy and poorly exercised bunnies. Rabbits need the space to turn around and stretch out, even in a cosy hutch. 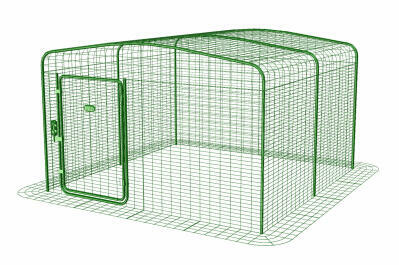 A dog play pen can be installed, rather than the usual rabbit hutch and run. This works fine, providing you give the bunnies a ‘safe spot’ inside the pen, to act as a bolt hole. Feeling safe, rather than wandering around a huge enclosure, is what they need. Always choose a hutch and run (or pen) that will be suitable when your pets have reached full size. There is a lot of size difference between a dwarf breed and a Flemish Giant, and the latter will certainly need a big space to grow into. One to two medium bunnies need at least 1 square metre (about 12 square feet) cage/hutch space, plus a run of at least 2.5 square metres (27 square feet). The longest side of the hutch or cage should be long enough to allow two rabbits to lie down end-to-end. A bunny pen, if you’re going for that option, should be at least 2.75 square metres (30 square feet), including a hutch, box or other cosy corner. If you can fit in more bunny space, all the better – two runs and a playpen could be combined, for example. 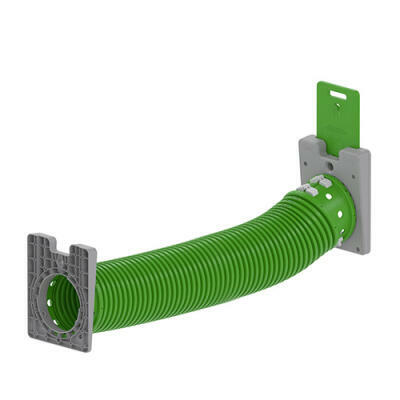 Link the different parts of your set up with rabbit pipes, such as Omlet’s Zippi Rabbit Tunnel System. Rabbits need to run around as nature intended! They will lose their muscles if they are forced to sit down indoors all day, and their general health will suffer as a result. They can develop aggressive habits in these circumstances, too. Some bunnies do like to stay tucked up for large parts of the day, and that’s fine – as long as it’s a choice they are making themselves, rather than a circumstance inflicted on them by simple lack of options. They still need a rabbit run, though. In the wild, rabbits tend to be active at dawn and dusk, and many domestic bunnies have similar habits, so even if they seem a bit quiet at noon, by the evening they will be eager for some action. Can I keep rabbits indoors? An indoor bunny isn’t everyone’s idea of fun, but many rabbit owners to indeed like to keep a free-range ‘house rabbit’. If you choose this method, your house will need to be ‘bunny-proofed’, with hazards such as electric wires tucked away, and other dangers kept in check (cats and dogs, for example). A pen can still be useful, though, as you won’t always be around to keep an eye on your free-ranging rabbit. Bunnies need to feel secure, and a hutch or box inside a pen provides the bolt hole they need.